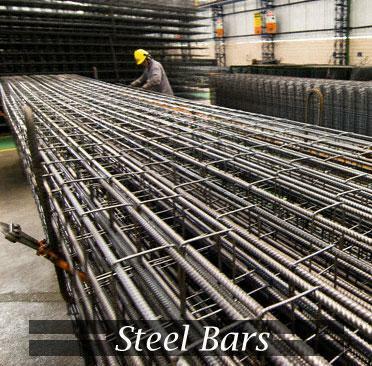 Generally there are two types of steel bars ("Sariya" in hindi) available in the market. To limit cracks that may develop in reinforced concrete around mild steel bars due to stretching of bars and some lose of bond under load it is common to use deformed bars that have projecting ribs or are twisted to improve the bond with concrete. These bars are produced in sections from 6 mm to 50 mm dia. Cold twisted deformed (Ribbed or Tor Steel Bars) bars are recommended as best quality steel bars for construction work by structural Engineer. Every lot or consignment of mild steel bars brought at the site of work should be tested in laboratory before use in the work. However for small work one can use mild steel bars on the basis of verifying tests results made by manufacturer in his own laboratory; which are available with supplier. Some of manufacturers stamped MS bars grade with their make /name and also give certification of test and grade. On the basis of the above information you can store mild steel bars grade-wise at the site of work. Steel bars are clear, free from loose mil scales, dust and loose rust coats of paints, oil or other coatings which may destroy or reduce bond strength. 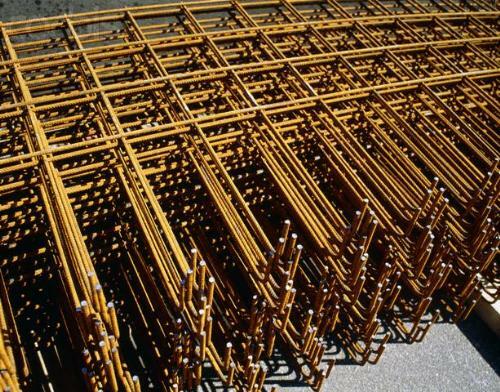 Steel bars should be stored in such a way as to avoid distortion and to prevent deterioration and corrosion. Steel bars should not be clean by oily substance to remove the rust. The bar is bent correctly and accurately to the size and shape as shown in drawings. If possible, the bar of full length is used. Overlapping bars do not touch each other and these should be kept apart with concrete. The overlap if given should be staggered. The cranks in the bar at the end should be kept in position by using spots. The steel bars should not be disturbed while lying cements concrete. Required cover under steel bars should be given before laying the cement concrete. No over lap is given in the bar having a diameter more than 36 mm, if required, the bar should be welded.